Only used a handful of times, this vessel is in brand new condition. It has been undercover since right before the start of winter. Aside from needing the winter dust washed off of it, this one is ready to go back in the water. 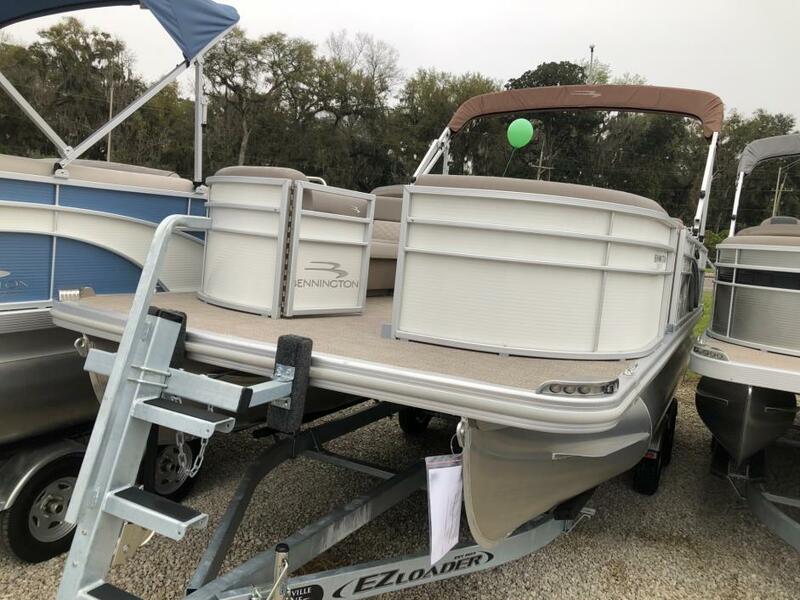 Stock #171214 Includes trailer and storage canvas, bimini and a list of amenities: Lowrance Depth/Fish/GPS locator, ski tow package, life jackets, anchor, BBQ grill If you are in the market for a tritoon boat, look no further than this 2018 Bennington 22 SSBXPDI SWING BACK, priced right at $53,000 (offers encouraged). This boat is located in Richland, Washington and is in great condition. She is also equipped with a Mercury engine that has only 20 hours. Reason for selling is health issues.. The company offers the details of this vessel in good faith but cannot guarantee or warrant the accuracy of this information nor warrant the condition of the vessel. A buyer should instruct his agents, or his surveyors, to investigate such details as the buyer desires validated. This vessel is offered subject to prior sale, price change, or withdrawal without notice. Stock #170264 VERY WELL cared for and ready for a summer of FUN! 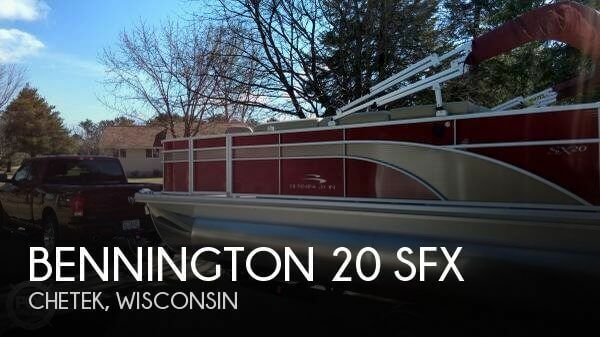 If you are in the market for a pontoon boat, look no further than this 2016 Bennington 20 SFX, just reduced to $34,900 (offers encouraged). 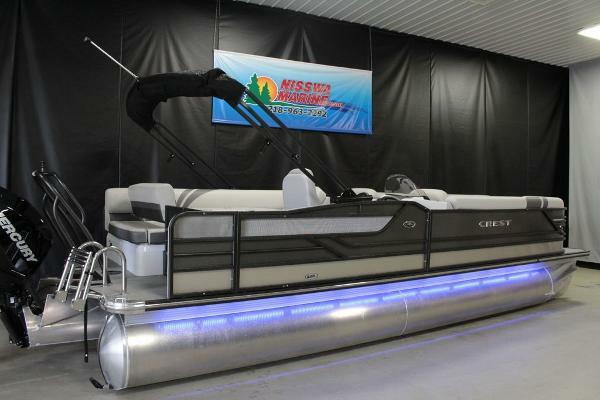 This boat is located in Chetek, Wisconsin and is in great condition. She is also equipped with a Mercury engine that has only 130 hours. Reason for selling is divorce. The engine has low hours (117), the housing is in great condition and shows no damage. The prop and skeg are in great shape. The exterior is in great shape, no noticeable damage to the rails or the pontoons. The paint is in great condition and shows no signs of fading. The interior is clean, no mold stains. All upholstery is in better than expected condition. According to the seller, all components work as intended. The trailer has good tires, the paint is in good condition, and there is no visible damage. 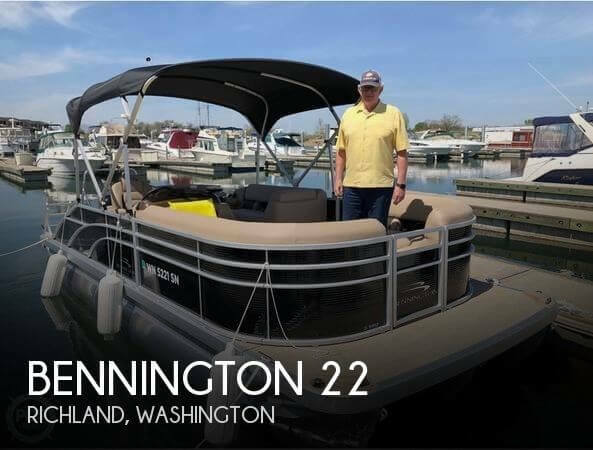 Stock #167295 Excellent Bennington S24 Tritoon with powerful and reliable Yamaha 150hp four stroke motor If you are in the market for a pontoon boat, look no further than this 2015 Bennington 24 SBRX, just reduced to $35,500 (offers encouraged). 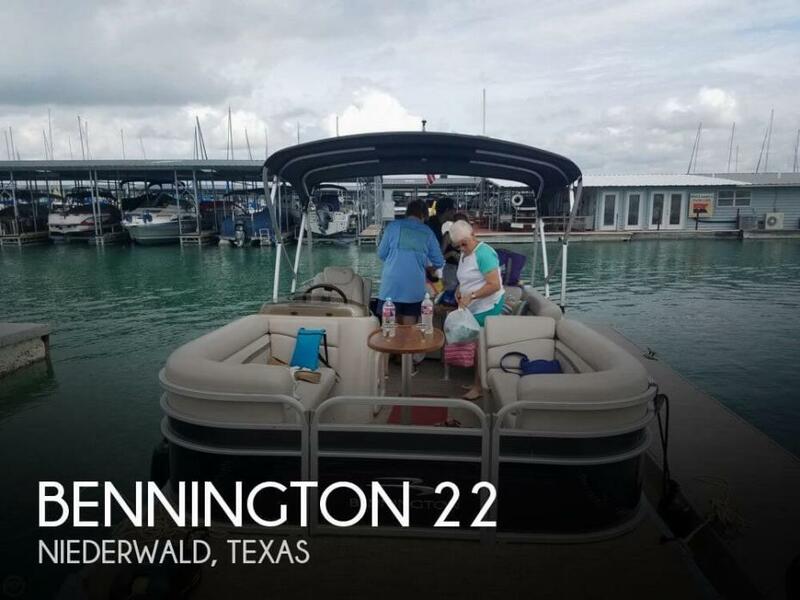 This boat is located in Niederwald, Texas and is in great condition. She is also equipped with a Yamaha engine that has only 117 hours. Reason for selling is moving.